A reporter at the Road that is never unWinding says a GM Shanghai exec confirmed the Buick Lacrosse will get a hybrid powertrain. 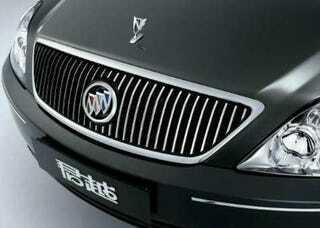 But the hybrid-drive version of the Buick it's-a-dirty-word-in-Canada model will be for China only. As WR reports, no confirmation of a US variant is forthcoming. The report also indicates the powertrain will be a version of the Belt-Alternator Starter kit, a mild hybrid system used in Saturns Aura and Vue that improves mileage about 10 percent. The LaCrosse hybrid will also be GM's first hybrid in China, which has yet to take up hybrids in any significant number, though both Chery and Geely have announced plans to produce hybrids. Maybe China is bizarro US car market after all. China&apos;s Hybrid Race: Chery to Show Hybrid at Beijing Show, Others to Follow?